Garden cities figure prominently in government aspirations for house-building these days. They seem to be the politically acceptable face of New Towns. While garden cities have establishment support, the only really practical solution to the housing shortage – more council housing – is still political anathema. So it is worth knowing that garden cities and council housing share the same origins and are linked by the same ideals. In this article I report on the utopian movement that created the early garden cities and inspired the first council estates. 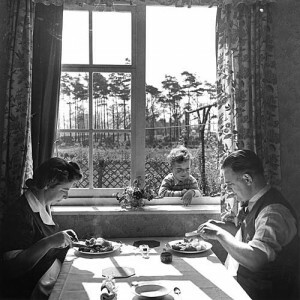 Garden Cities emerged from a socialist and anarchist movement for better housing that was committed to communal living and the co-operative values which council housing continues to inspire among many today. 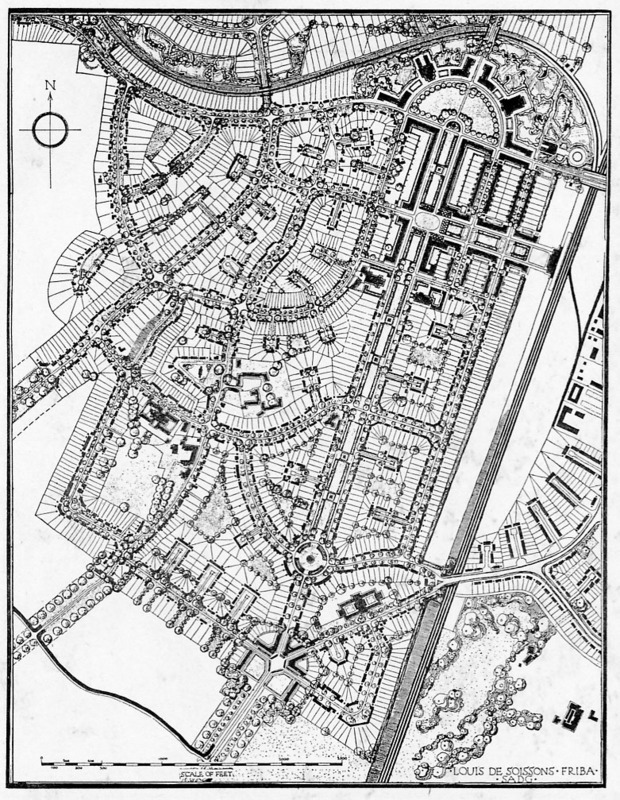 Architect Raymond Unwin forged the connection between garden cities and council housing when he applied the planning principles and designs of Letchworth garden city to the standards of new housing estates built under the 1919 Addison Act. In addition to these ideas Unwin brought a vision of co-operation and community to council housing that stemmed from his involvement in the socialist movement, and its more millenarian groups. 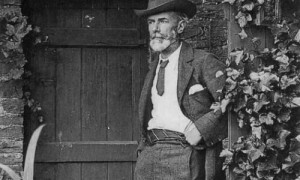 Unwin was a member of the Socialist League, William Morris’ new political movement which aligned arts and crafts principles to a utopian vision of a just society – set out in News from Nowhere serialised in the Commonweal newspaper. 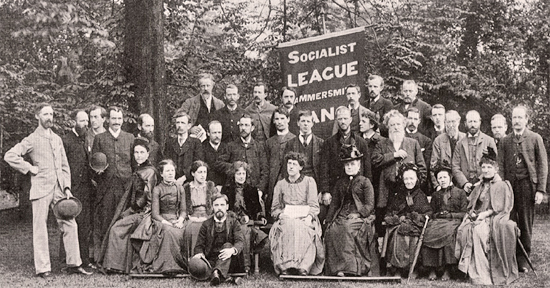 Unwin was a frequent visitor to Morris’ Hammersmith branch of the Socialist League and met there the Russian anarchist Peter Kropotkin whose theories of mutual aid provided the intellectual framework for the communes and co-operative living experiments. The anarchist was also the inspiration for the political manifesto of co-operation and solidarity adopted by the Socialist League in the founding of the Independent Labour Party. Unwin was a great friend of Labour MP, Keir Hardie, and his commitment to housing was not limited to master planning but was aligned to a labour movement campaign for better housing conditions. The father of Garden Cities, Ebenezer Howard gave the first public presentation of his planning ideals, set out in his book Common-sense Socialism, to a meeting called by the anarchist Brotherhood Trust. The Brotherhood Church and its Trust founded in 1893 was inspired by the ideas of Tolstoy, Kropotkin and the French anarchist Proudhon. The Brotherhood had established a number of communes, using their newspaper The New Order to promote a rural idyll and sell their fresh produce. Some of the first members of the Garden City Association founded in 1899 were disciples of the Brotherhood and its leader Bruce Wallace became Ebenezer Howard’s close ally. 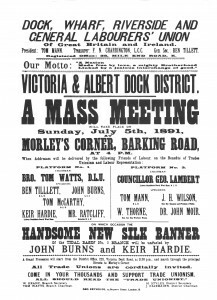 The passing of the Housing for the Working Classes Act in 1885 gave municipalities the power to build the first council housing. But few took the opportunity and slum clearance only increased housing shortages leading to rent rises in the private sector. A series of rent strikes across the country erupted in the early 1900s. In Leeds in 1914 a rent strike in the back to back streets of Burley was stirred by the Labour Party into a city-wide protest in favour of municipal house building. 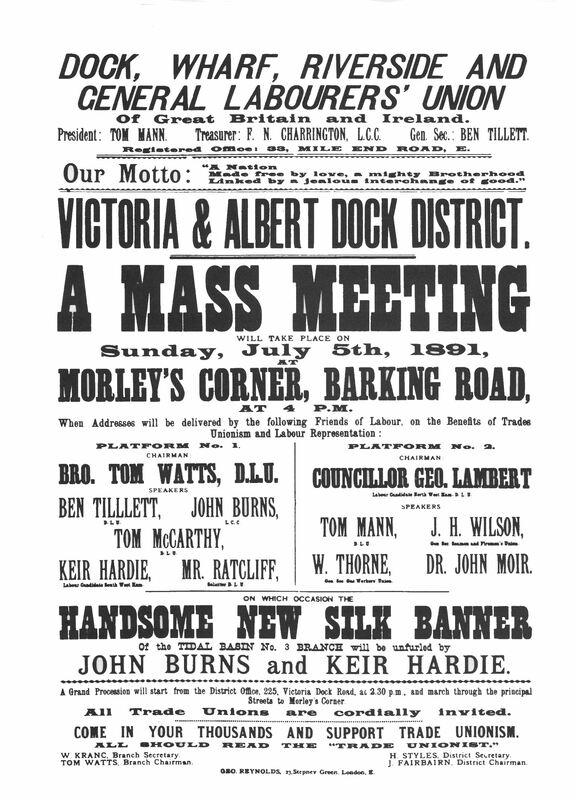 Although the strike lasted only two months and ended with the eviction and victimisation of activists, it strengthened the labour movement’s resolve in the campaign for council housing. In 1915, 30,000 tenants across Glasgow went on rent strike, and threatened a general strike in the armaments industry at the height of the World War I. This rent strike was co-ordinated by the Independent Labour Party and the government was forced to pass the Rent Restriction Act to freeze private sector rents. The spectre of this working class revolt was one of the prime drivers behind the 1919 Addison Act and the mass provision of publicly subsidised council housing. 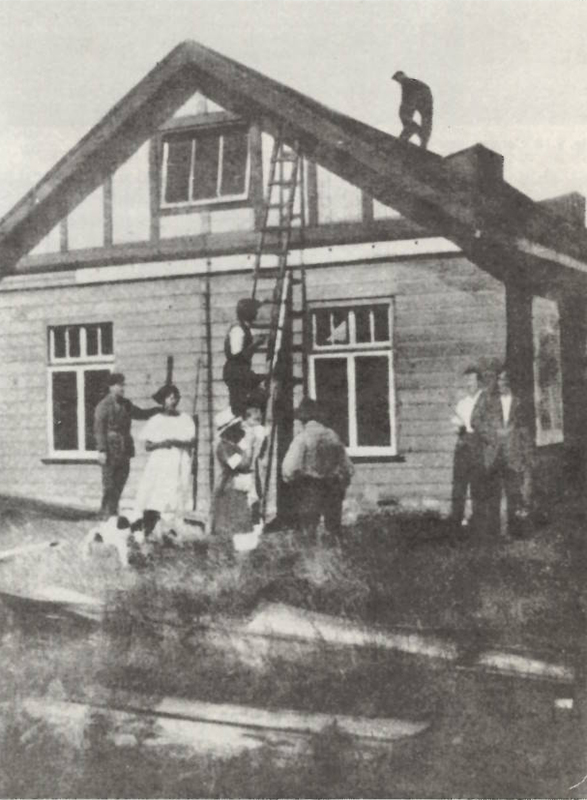 The first council housing reflected much of the collective spirit and communal ethos of the Garden City movement and its idealistic belief in a better future. The vision of solidarity and reciprocity shared by Morris and Carpenter, and planned by Howard and Unwin, was given form in the first council estates. 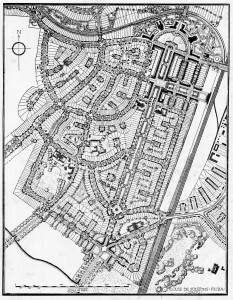 The Garden City design principles of space, light and nature were inherited by the millions who benefited from the mass building of council housing from the 1920s and again from the 1940s. 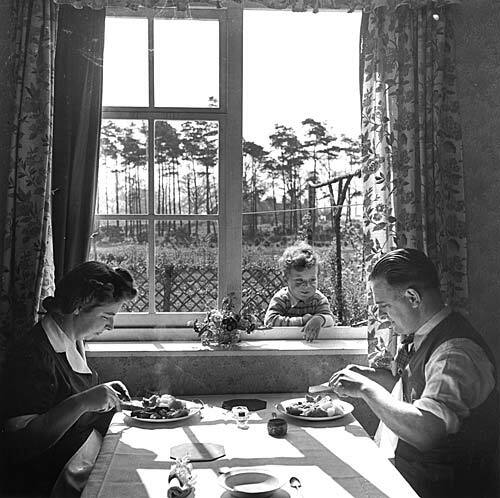 Council housing at its best provided high quality affordable homes that improved the lives of generations. It gave a collective boost and a sense of aspiration and hope to a third of the population until the 1980s. It was the Garden City idea made democratic and affordable, as Howard and Unwin had initially dreamed.